Pascal and Ludovic met more than ten years ago, during an MBA Master Class for entrepreneurship in Boston. During a whale watching boat trip to Cape Cod that they decided to work together on a project involving a new concept of ultra-fast charging batteries. An engineer with a PhD in Applied Mathematics and a researcher at CEA (French Atomic and Alternative Energies Organisation), Pascal Boulanger worked for fifteen years in various fields such as nuclear energy, solar photovoltaics, and smart grids. In 2008, he joined one of the first R&D pioneering teams in Europe working on new nanocarbon structures (carbon nanotubes and graphene). “At that time, there was a great excitement regarding nanomaterials which exhibit outstanding properties but also pose great challenges in fabricating just a few squares centimetres of them. Two years after joining the team, I demonstrated that we could produce these materials on a large scale at a competitive cost. It opened new perspectives for numerous domains of applications linked to the transportation, environment, and energy sectors,” explains Mr Boulanger. Ludovic Eveillard occupied many positions in SMEs as well as in large companies such as Honeywell where he started initially as R&D director and pursued his career in global product marketing and finally as business development manager. “When we met during the MBA at HEC school in Paris, I was looking for new challenges. I also wanted to create a company to force a technological breakthrough capable of changing the world. And that was precisely what Pascal proposed to do. At HEC, we were the two physicists of the promotion but with a big difference: I had done my career in industry and so my mindset was much more business oriented than his,” comments Mr Eveillard. Ten years later, in 2013, NAWATechnologies has been spinned-off from the CEA and created 25 jobs. The company is located in Rousset, in the south of France, just in front of the Montagne Sainte-Victoire, drawn so beautifully by the famous painter Paul Cézanne. NAWATechnologies is specialised in manufacturing and integrating nanostructured materials in technological bricks that change the paradigm of energy transition. The company is currently developing a cutting-edge technology to provide a generation of ultra-fast batteries that can be recharged in a few seconds for up to a million of cycles. On top of being more efficient, these ultra-batteries are also cheaper, safer, and more eco-friendly to manufacture. 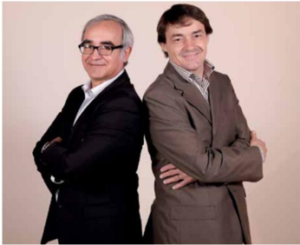 The two cofounders, CEO Pascal Boulanger and Sales and Marketing VP Ludovic Eveillard, are convinced they possess a technology that will change electricity usage and transform energy storage. “It is amazing how, in humankind’s history, the way energy is used to shape cities, architecture, roads, and – indeed – our way of living has changed. Fire, steam, injection engines, and now electricity have brought revolutions. If we really want to switch from a coal-burning civilisation to a smarter and cleaner form of energy, we also need to change our habits. A good example is the replacement of cars with internal combustion engines by electric vehicles. People and car manufacturers want to drive 500km without stopping. But the truth is that a car doesn’t move 95% of the time. The average distance a car is driving per day is no more than 50km. Moreover, it transports on average only 1.3 people. As President Amory Lovins of the US Rocky Mountain Institute says, we must switch from Personal Intracombustion Gazoline Steel (PIGS) to Shared Electric Autonomous Light and Services (SEALS); from personal internal combustion gasoline cars made out of steel to light shared electric vehicles. For that, the best battery would be the one that can be recharged the fastest,” argues Mr Boulanger. Another analogy could be given using data storage technology in microelectronics. Ten years ago, everybody wanted to have the biggest hard disk ever to be sure to have all data protected and available. Today, the cloud is providing the data. Now the speed of connection has become the most important parameter. In a way, NAWATechnologies opens the road to the 5G of batteries, speedingup electricity flows, transforming the grid into an electricity cloud. The time of big batteries has passed. The moment has arrived for small ultra-fast batteries. 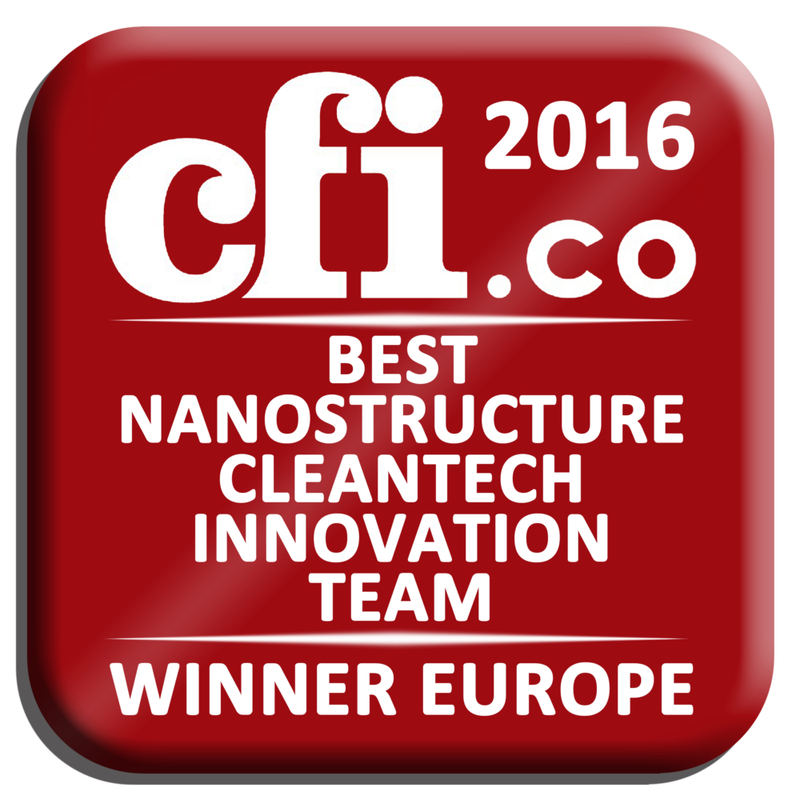 The two co-founders share a vision to couple nanotechnology to clean technology and are pushing the innovation one step forward. NAWATechnologies submitted to the World innovation Challenge in 2014 the concept of a mechanical composite structure capable of storing energy. This project, called NAWASHELL, is an innovative concept that could change the way energy is stored. Mr Eveillard explains: “Imagine a world where any object could harvest energy and can stored it instantaneously.